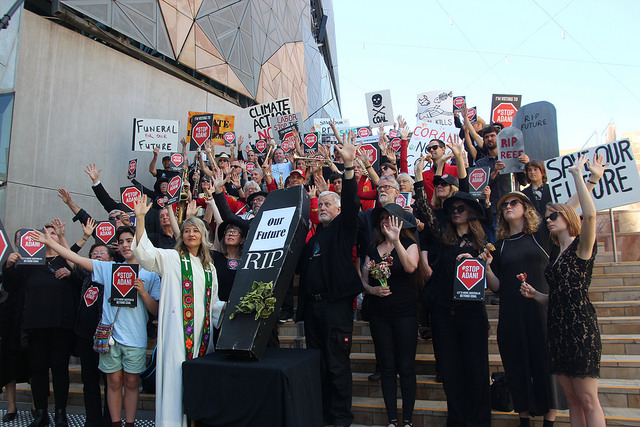 A very moving two hour ceremony that started and finished in Federation Square in the Melbourne DBD on Saturday 1st December. 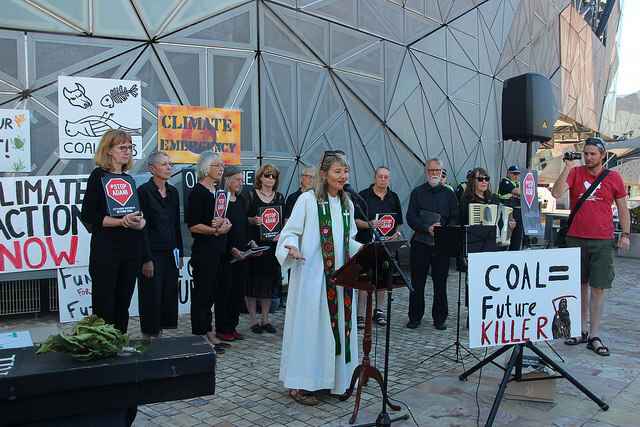 It comes after Adani announced they would be proceeding with the Carmichael coal mine in the Galilee basin, such announcement coming in the middle of an extreme heatwave and catastrophic fires across Queensland. A processional march occurred down Flinders street, past the iconic clocks of Flinders street station and back to Federation Square. Reverend Alex Sangster from the United Church opened the service, and articulated why this piece of street theatre was taking place. 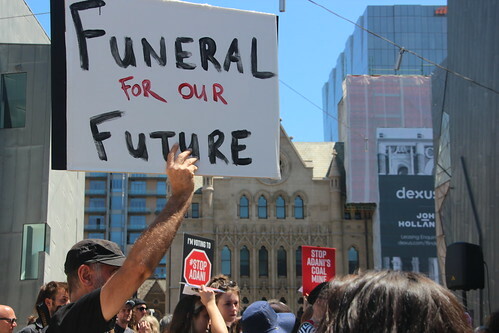 The Funeral for our Future comes a day after several thousands students marched in Melbourne in a climate strike calling for Stop Adani, 100% renewables by 2030, and leadership by our politicians at state and Federal levels. The events comes on the eve of the United Nations climate Change conference in Katowice, Poland, #COP24, due to start on December 2, 2018, which has the task of adopting the rulebook for the Paris Agreement that was passed at COP21 in Paris in 2015, that set the goals of limiting temperatures to well below 2C and strive for 1.5C by 2050.